An online survey conducted by a local shopping website takes a look at Filipinos’ reactions to the Valentine’s Day gifts they receive. 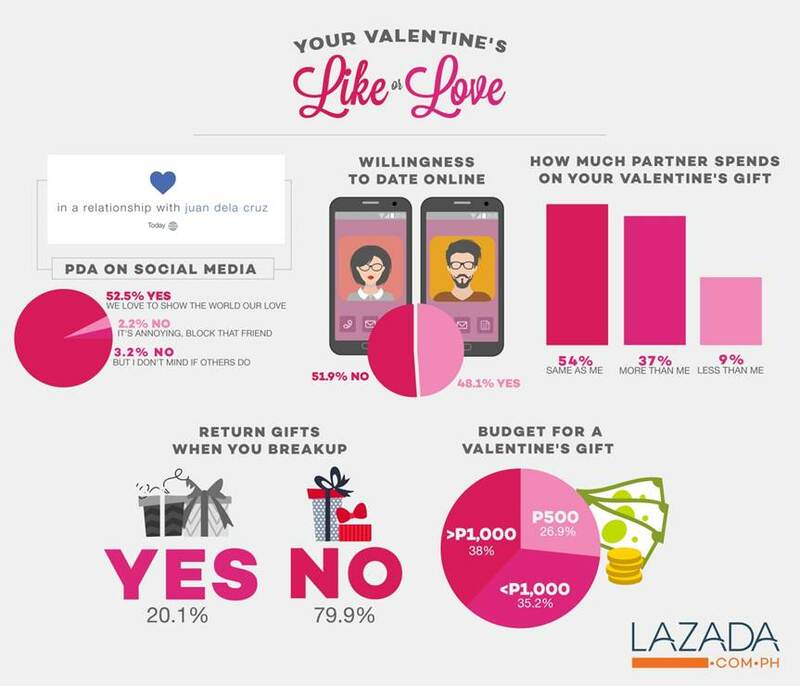 Lazada asked 300 respondents for its latest survey, which showed only 36% of them are very happy with the Valentine’s Day gifts they receive. Forty-six percent said they are satisfied, while 3% are not happy at all. 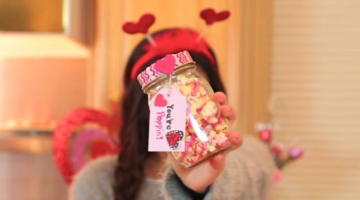 The survey shows that picture frames top the list of “worst cliché” Valentine’s Day gifts, with 40% of respondents agreeing that these are already out of date. These are followed by couple shirts at 22.8% and food with 23.1%. 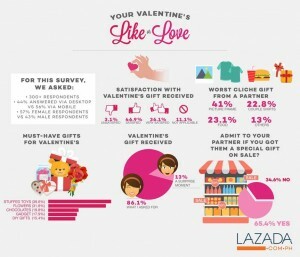 On the other hand, “must-have” Valentine’s Day gifts include stuffed toys (39.6%), flowers (31.8%), chocolates (19.8%), gadgets (17.9%) and DIY gifts (15.4%), according to the survey. 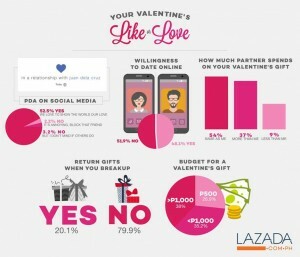 A whopping 86% of respondents in the survey said they prefer to express to their partners what they want to get for Valentine’s Day instead of waiting for a surprise moment (13%). Sixty-five percent of them said they don’t mind sharing that they got their gift on sale. Earn 3000 Pesos a month! Anything to me its ok .